In Pardus, both drugs and stim chips (all varieties) give additional action points – and as covered in the article on Stims and their various uses, coloured stim chips offer skilling, movement and trade benefits as well. Whilst you are under the effects of either drugs or stim chips, consuming the other yields no benefit, preventing the combination of coloured stim chips and drugs. In reality it is actually possible to combine the effects of coloured stims and drugs! Both drugs and stim chips have a limit on the number that can be consumed with any benefit, designed to cap the amount of action points you can obtain in one go. Without advanced skills, for both drugs and stim chips this number is 25 tonnes per 25 hours. With advanced skills, the number of drugs that can be consumed is 30 tonnes per 30 hours. It used to be believed this quota was timer-based, with one tonne of your quota decaying each hour after you took the initial drug or stim chip. If you were to take 10 tonnes of drugs at 08:33, your drug level would reduce by one at 33 minutes past each hour, until it got to 18:33 when you would no longer be under any effects of drugging. Recent developments have discovered the decay of drug and stim chip levels is not timer-based, but is instead tick-based! It has been observed that the decay in drug and regular stim chip levels happens at 59m03s past each hour, and the decay in coloured stim chip levels happens at 29m03s and 59m03s past each hour. If you were to take 1t of drugs at 08:56:00, at 08:59:03 you would be considered undrugged again. Crucially, the decaying of the effects of coloured stims is still timer-based (lasting 15 minutes from the point of taking them). This opens up the possibility (with careful timing) to leverage both coloured stims and drugs at the same time. If you were to take 1t of a coloured stim chip at 28m or 58m past the hour, after one minute and three seconds (when the time becomes 29m03s or 59m03s past the hour respectively) the game would no longer consider you to be stimmed up and would allow you to consume drugs without issue. However, the effect of the coloured stim would remain for a further 14 minutes, whilst you are still able to consume drugs. A big thank you to Tro who took the time to bring all this together into a handy guide. When you visit the Pardus Cluster Statistics page, you are presented with a breakdown of Starbases and their population in the PFC, PEC and PUC. This information is really useful for economy managers to keep an eye on starbases that dropping in population (and subsequently need some attention). 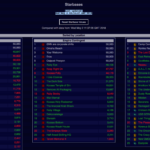 This script allows you to take a “snapshot” of the Starbase population data and then, when you visit the page again later, see which starbases are dropping, increasing or staying the same population. Apart from the obvious colouring of the Starbases, you can hover over each to get information about previous population values. To celebrate Pardus’s 12th birthday in Sept 2016, an update to the Feral Serpent was introduced to the universe. The most obvious addition was the Feral Egg… but no further information was available as to what to do with these eggs. 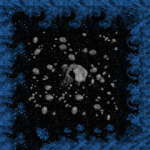 A rare new commodity – the Feral Egg – is now available. Although feral eggs already command a high price on the black market, their use is yet unknown. Feral Serpents behave differently depending on their maturity – this is now visually apparent. Based on their maturity, they may drop one or more feral eggs on death. The mobility of Feral Serpents in general has been improved. You can Explore the Den at Nhandu [23,26] for eggs. A Feral Egg spawns at the Feral Den just after server reset (0530 GMT) and can be harvested at the Den by clicking the Explore the Den link at Nhandu [23,26]. We are also told that the Feral Serpent drops Feral Eggs when he is killed (a different amount depending on what stage you kill him at). These Feral Eggs are used to purchase special new equipment from the Feral Serpent Outpost. When you kill the Feral Serpent, a wormhole opens up at the coordinates you killed him – to a completely isolated part of the Pardus sector that contains the new Serpent Outpost. The wormhole can remain open for up to an hour – but typically closes after about 20 minutes. 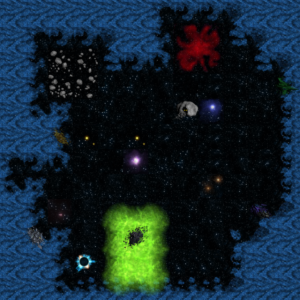 When you travel through the wormhole you can enter the special building (the Serpent Outpost) at Pardus [94,32] where you are able to exchange Feral Eggs for various ship equipment and upgrades. All these items are sensitive requiring a Repair Drone to maintain them. If you are currently commanding a Starbase, then you are probably aware that you can initiate a self-destruct to destroy your Starbase. This is not something you would do regularly! This guide looks at how you would go about destroying an undefended Starbase belonging to someone else. 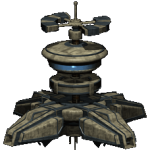 It is possible to assault and destroy a Starbase successfully using pilots – usually for Starbases with minimal (or no) defenses. In reality it is much more common to use Squadrons for this task – especially since it can all be undertaken by one pilot. For this task you need to hire Bomber Squadrons. Ultimately this is because they have better armor and are able to take more damage without being destroyed. How Many Bomber Squadrons Are Needed? 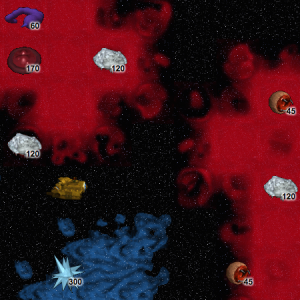 This is based on how many Heavy Defense Modules are present on the Starbase you are attacking. Assuming the Starbase is undefended, the following gives you an idea of how many Squadrons you should require. You will need to hire Bomber Squadrons and get them to the target Starbase without arousing the suspicion of, well, anyone. The amount of APs available to a Squadron at any one time means you will probably need to move and rest your Squadrons several times (sometimes over many days) until they reach the target Starbase. The ultimate goal is to destroy a Habitat Ring (this consists of 100 building points) and then move into the Command Center before destroying that as well (this consists of a further 300 building points). You need to ensure your Squadrons have enough APs to do 400 building points of damage before you initiate your attack. To begin with, move all the Bomber Squadrons on top of the same Habitat Ring (there are 8 to choose from) and click the Attack this building link with one of the Squads. As well as shooting an array of LV-111 missiles at a single Starbase defense module (chosen randomly each attack), your Bomber Squadron will do building damage based on the number of ships in the Squadron. The first attack you do with a full 100 ship Bomber Squadron will take 8 points off the Habitat Ring (although due to the mechanics of how damage is resolved, this may end up being 6 points). Once you have attacked once, switch to another 100 ship Bomber Squadron and repeat until all squadrons are now less than 100 ships. Continue the attack, using the Bomber Squadron with the most ships every time. This will likely see you switching browser tabs a lot and requires some concentration. While the number of ships in each attacking Squardon is above 75, each attack will be taking 6 points off the Habitat Ring. After about 18 attacks you should have destroyed the Habitat Ring. This will trigger a GNN entry – so be quick to move all your Squadrons to the Command Centre. Move all your Bomber Squadrons to the Command Centre and continue the attack, using the Bomber Squadron with the most ships every time. Remember that you need to deal a total of 300 points of building damage to destroy the Command Centre. Once you have destroyed the Command Center, the Starbase disappears (and there is a further GNN entry). Job done! When under the influence of a Capri Stim the navigation screen screen is covered with the level of resources on each tile. This can be more than a little distracting. This userscript hides the text that is shown on each tile (returning your navigation screen to normal). The effects of a Capri Stim are still in effect (reduced cost of trading) and you can obviously turn off the userscript if you want to view the resource levels for some reason. For a long time we have had Stim Chips, a legal alternative to Drugs (and a topic we discussed as Pardus Stim Chip Facts in the past). An update to the Stim Chip Mill was announced in August 2015 where we saw the introduction of three new types of Stim Chips, each with their own special effect. It has been observed that combat pilots show very quick learning abilities when taking Crimson Stim immediately before battle. The Crimson Stim doubles the rate of skill gain for Tactics, Hit Accuracy and Maneuver (up to a skill level of 65). This makes it an absolute must-have for pilots grinding out ASP or just skilling. You can tell you are under the effect of a Crimson Stim because it says so on the NPC combat screen. It appears to give its user a heightened sensitivity of surrounding space. It is also reported to increase focus, especially when trading or harvesting. The Capri Stim decreases AP cost for trading by 3 and for harvesting by 5. It also shows the resource levels on all fields on the main Nav screen (so you know if you are under the effect of a Capri Stim by this very visual change to the main Nav screen alone). For a trader with a Class I Teleporter installed (which reduces the cost of trading to 5 AP) this means they can do a trade for just 2 AP! If you have a lot of buildings close together in your economy, then this is the choice for you! Users report that time seems to slow down when navigating under the influence of Amber Stim. The Amber Stim decreases AP cost for movement by 1 across all field types. This is ideal if you need to travel any great distance, combined with the recent ability to Pack Goods, this seems ideal for hauling goods long distance. You can tell you are under the effect of a Amber Stim because there is a small amber “-1” beside the movement cost icon in the Status section of the main Nav screen. The Feral Serpent has the highest threat rating for an NPC. It wanders the universe (in some cases very quickly), teleports through Wormholes and across MO lines, and aggressivley targets pilots as it romps around on a killing spree. Check out the Feral Serpent details at Blacksun’s Pardus Resources for vital statistics on this NPC. Unlike most NPCs, the Feral Serpent doesn’t spawn in the same place. Under the section on NPC Spawning, the Pardus Manual mentions that the Feral Serpent uses Triggered Spawning. How Do You Trigger The Feral Serpent? According to the Pardus Manual, the Feral Serpent is spawned by searching the Serpent Den from time to time. First you need to visit the Serpent Den in Nhandu [23,26]. Once there, choose to Explore the Den via from the Commands panel in the navigation screen. Upon exploring the den, one of two message will show in the message frame of the main screen. You catch a glimpse of something quickly fleeing the den! The den appears to be uninhabited at this time. 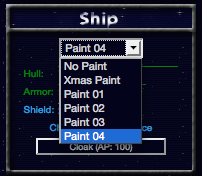 This userscript allows you (and only you) to preview the different paints that are possible for your current ship as you fly around in the navigation screen. Useful when deciding what paint you are going to purchase from a paint shop. This userscript overlays the experience you would get for killing an NPC displayed directly on your navigation screen. Useful when completing VIP Adventure Missions and when you are just shooting NPCs for fun. Not every moment you are online will be spent staring at the Pardus main screen waiting for an incoming message to arrive… from time to time you may be viewing another tab in your browser. With this userscript you can see the name of the Pardus tab change to reflect unread private messages, alliance messages and combat logs. No longer will you have to keep switching tabs to check if you have any unread messages!